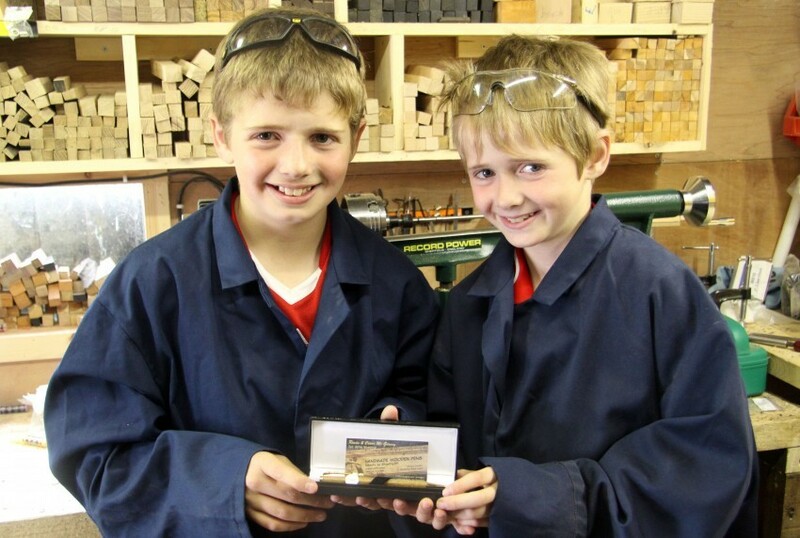 The two young County Donegal schoolboy brothers who make handmade wooden ink pens in their garden shed have been told they are too young to get any funding. Rónán (14) and Conor Mc Garvey (11) from Loughanure make the pens after deciding to turn their woodturning hobby into a business. In recent months they have contacted Údarás na Gaeltachta and the Donegal County Enterprise Board looking for some cash to help build a new workshop to replace their garden shed that leaks when it rains. The cost of a new shed is around €6,000. The boys however didn’t realise that their young age would present a problem until they were told that neither body can enter into a contract with them because they are under age. “We didn’t think that being too young would cause problems. We weren’t looking for a huge factory, just a small workshop about 20’ x 10’,” said Rónán. Mum Marie said the boys are disappointed that because of existing legislation there is no support for them and people in their age group. “It’s disappointing for them but if the legislation is there then there is nothing they can do about it. In fairness Údarás has been supportive in other ways with translations for their website etc. Their pens have been sold worldwide and they have had return custom so obviously people are happy with the product,” she said. Not to be outdone the boys now have another plan to fund their new workshop. They intend to seek around 20 businesses to buy maybe 30 or 40 pens as corporate gifts and this will get them well on their way to funding the new workshop. The boys can be contacted through their website www.donegalpens.com or (074 9548516.